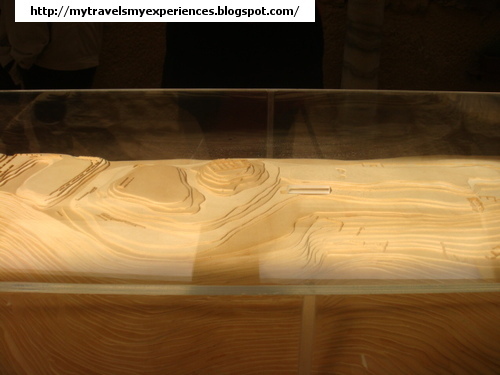 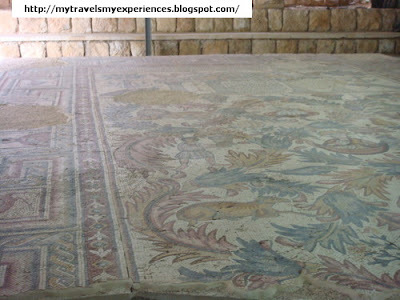 This is the place where, according to legend, Moses died at the age of 120, after God showed him the Promised Land. 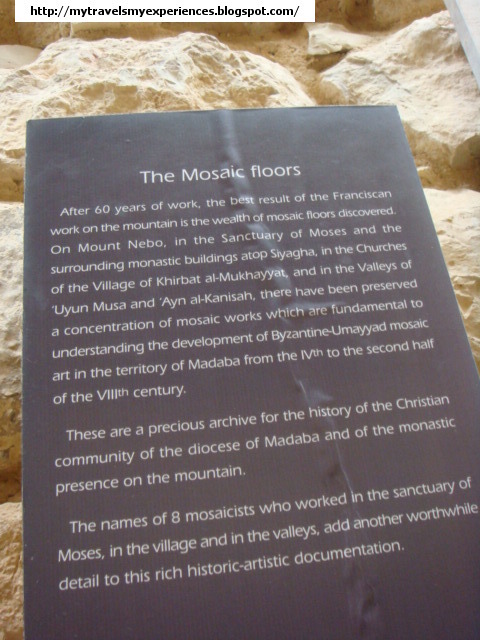 For long it has been disputed whether or not this was truly the place where Moses had died (historical evidence is somewhat vague on most biblical figures) but in the Byzantine era it was believed this was the spot, and no less than five churches had been erected at this spot (one of them has been fully restored). 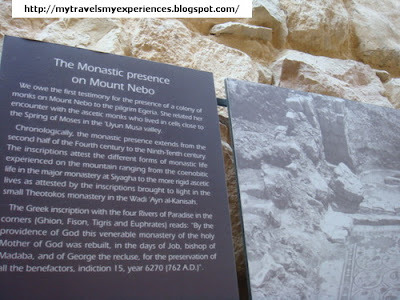 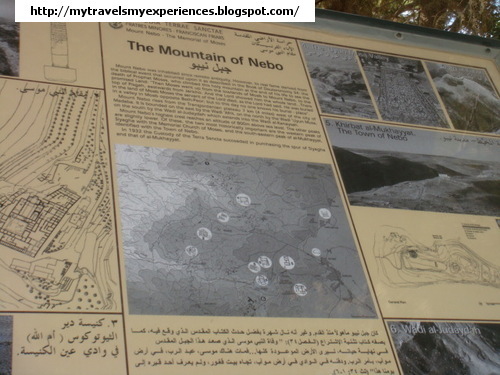 In 2000 Pope John Paul II has officially declared this place as sacred, so now Mt Nebo can officially call itself the spot where Moses looked over the Promised Land. 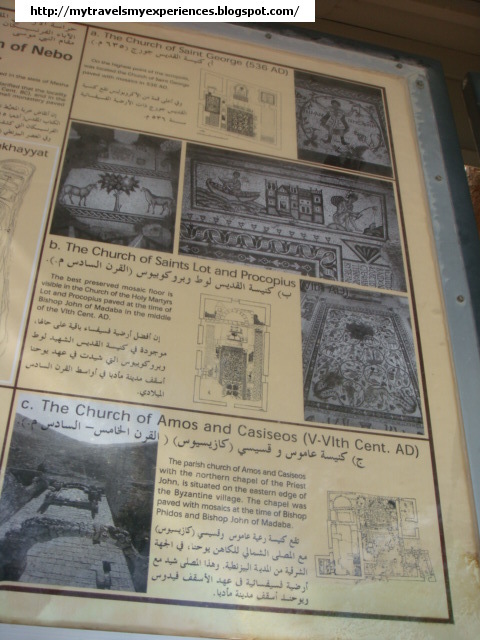 In the fourth century, early Christians turned the old building on the highest part of the Siyagha Mountain into a church to commemorate Prophet Moses' resting place and made pilgrimages to it from Jerusalem. 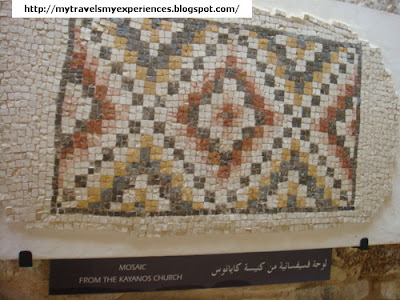 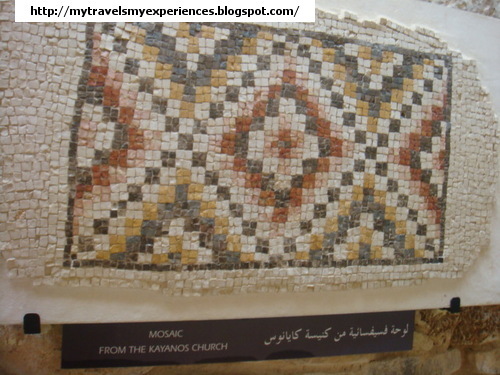 The first church was later expanded into the present basilica where a collection of Byzantine mosaics is exhibited as well. 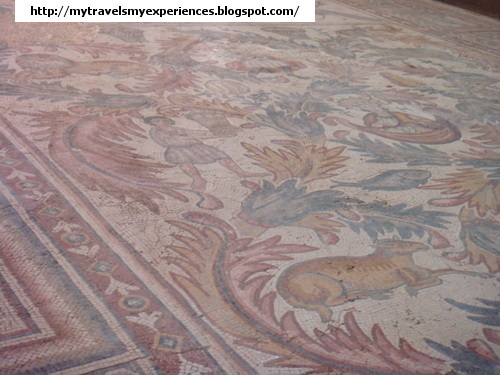 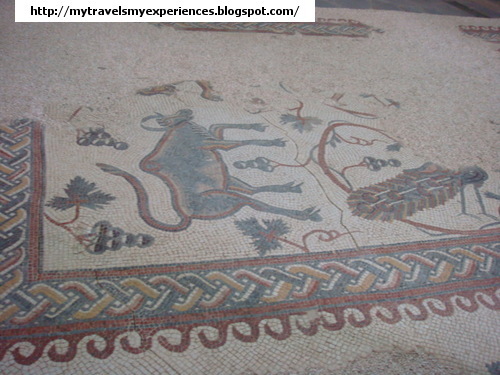 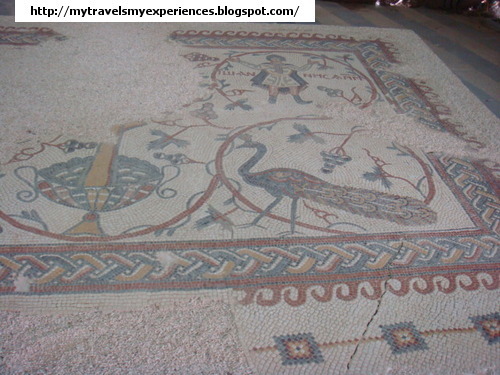 This museum has a rich collection of many ornate floor mosaics that have been uncovered. 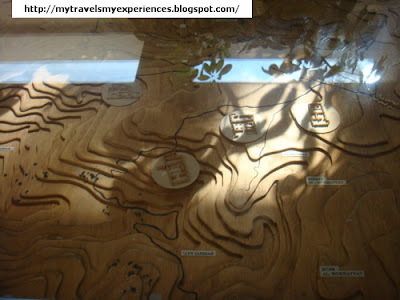 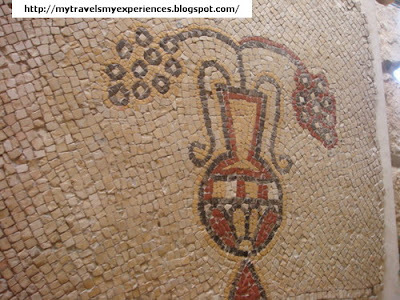 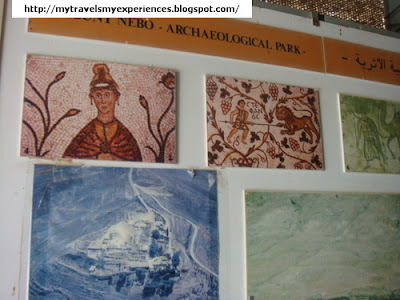 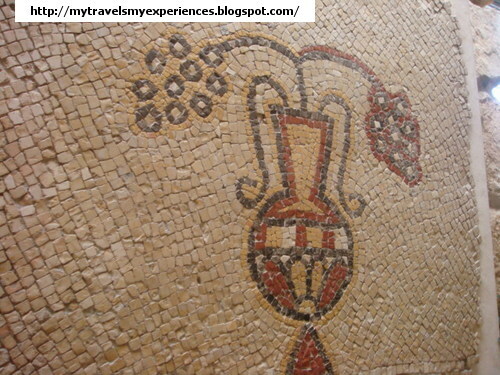 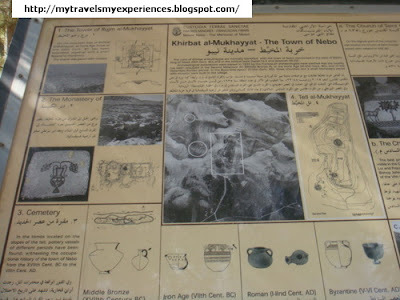 The history of the place and mosaics are nicely and in detail explained here.